The balanced symmetry of this card conveys a classy-yet-casual seasonal greeting. The center of the field is marked by a round, brick-hued snowflake. 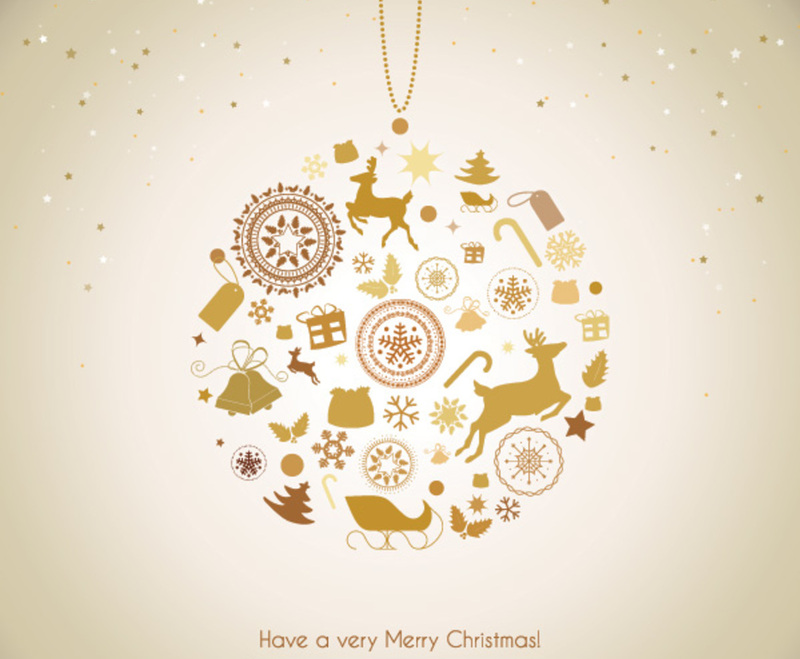 Cutouts of reindeer, candy canes, bells, trees, and holly leaves surround the snowflake, creating the shape of spherical ornament. This design uses color to create a nuanced, traditional look. The objects in the foreground range from yellow to gold to rust, and subtle white-and-brown stars freckle the top half of the image. It has a number of eye-catching images, which subtly draw attention to the cheerful text at the bottom of the page.